When it comes to decorating your home for practicality and panache selecting the right sofa is one of the most significant decisions you will make. For a lot of people the sofa can be a statement piece of furniture within their living room, drawing the eye and adding a sense of completion to the space. In the modern age of endless choice there may appear to be infinite options available in choosing the right sofa. You may start off thinking that you know precisely what you’re looking for but as soon as you start browsing images online or visit a store, the customization, shapes, and styles could overwhelm you. 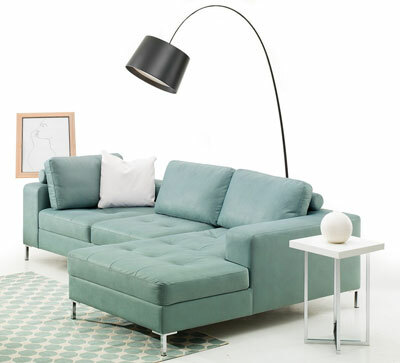 The best way to save yourself some money, time, and possible buyer’s remorse is to establish a clear concept of the sofa you need and want before your shopping adventure begins. 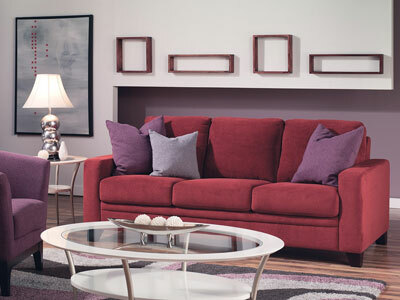 When you’re picking a sofa that not only adds comfort and functionality to a room but also provides a fantastic expression of your unique personality, start by considering your lifestyle. Think about the personal habits that determine your day to day life. For example, if you’re the kind of person who enjoys spending nights with your loved ones snuggled up on the sofa and watching movies then you may want to consider a soft, supple, pillow-back sofa. If, on the other hand, you’re the kind of person who prefers cocktail parties and sophisticated get-togethers, then you’re going to want something easy to clean, sophisticated, and cool. If you’re blessed with a particularly large living room, then you’re going to need to think about how much space you would like your sofa to fill. For example, are you considering including accompanying chairs or ottomans in your living space? Would you like to introduce other furniture such as a cocktail table and end tables? If so, a simpler, smaller sofa such as an apartment sized sofa could be the right choice, or a small sectional with a very subtle L-shape. If you are looking to purchase a sofa that should act as the primary focal point within your living room, try searching for round shapes that provides plenty of seating space while taking up more of the room. How often you use your sofa can help to determine the size. Sometimes, choosing a sofa with longer, slender legs in a smaller room can help to add extra depth to the room. If you place a sofa directly on the ground, it can seem heavy; whereas balancing and elevating the sofa on a set of legs can make the room feel lighter. Similarly, if your ceilings are low and you want to make the space seem larger, try embracing a modern, shorter silhouette. Start off by making sure the style you select complements the theme you’re hoping to accomplish with your home. Sometimes, nailing down your personal style can be a difficult task, but it can be helpful to trust your instinct when picking a sofa that will find a natural fit in your living room. If you’re looking to stay contemporary and sleek, try to select a sofa that reflects that flair in dramatic colors and clean lines. Remember though, bold colors can be a tricky thing to deal with in a sofa as unusual shades can begin to look and feel dated. If you really want to embrace bold colors throughout your living room, start by simply using accents. For example, add some drama to your pillows, lamps, end tables, and side tables. Leather, particularly in darker shades, can be a great choice for something that’s constantly in style and looks great as time passes. 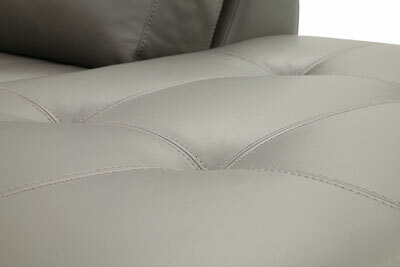 Leather is also particularly easy to clean especially pigmented leathers. If you’re looking for easy-to-maintain and versatile selections, then leather could potentially be an interesting and bold selection. Just like with today’s fabrics, leathers can be custom ordered in a variety of textures and colors. There are even leather choices where the inconsistency in color variations is the preferred choice for those looking for that vintage, distressed look. Finally, once you’ve gotten the size, color, upholstery choice, and type of sofa locked down, you’ll need to think about the shape. The primary consideration here is the size and shape of your living room. If you have a particularly large living room, then a clean L-shaped sectional sofa could help to divide open areas and make a room appear to be more welcoming. This is particularly useful for people who want to separate their living room space from a dining room space. A rounder shape of sofa can be more conducive for a smaller space that is intended to create intimacy between people in the room. Round shapes are great in gathering areas, but they can also be fantastic for media rooms – encouraging people to huddle together and indulge in a great movie. 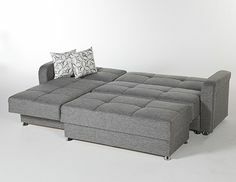 If you’re looking to implement more tables and chairs into your living room, a daybed or chaise might make a good alternative to a traditional sofa, as it provides seating for several people in a more compact space. Remember, at the end of the day, considering all of these factors can give you a good insight into the type of sofa that might be right for you, but your personality, unique taste, and style will be what makes the final choice. Choose a sofa that you can truly love and appreciate – after all, the chances are you’re going to want to keep it around for quite some time. This entry was posted on Saturday, June 27th, 2015 at 12:08 pm	and is filed under Tips and Guides. You can follow any responses to this entry through the RSS 2.0 feed. Both comments and pings are currently closed.